While this year’s Super GT has improved in certain areas when compared to previous years but sadly since 2009, the race queen palate leaves something to be desire. Ever since 2009, we have been seeing a decline in the number that are sent as well as the quality of the outfits that were tremendously toned-down to comply with Malaysia’s “moral laws” (more on that later). In years before 2009, we could always expect to find beautiful diamond every time but after that, we find an occasional polished diamond or so such as Noa or Yuuna. Now it seems we can’t even find a diamond. In fact, the local palate was actually somewhat better than the Japanese this year. So few were the racequeen this year that I’ve actually had to combine both local and Japanese racequeen into one article just to come up with enough material. This is not to say JPM failed at trying to improve the event, it has yet to be seen as this is the first year they are holding it. I’m guessing the ladies that are sent from Japan are not even within their power at all. But unless they can somehow get them to bring in either the full crew or at least bring in the nice ones, more and more photogs like me are going to find it increasing boring. Though this is only affecting photographers like me who’s sole purpose is to shoot the racequeens. If you’re there to shoot the cars then I can safety say you mostly won’t be disappointed by the Japanese Race cars! Though I can’t say the same about the local drivers as some of you might know if you were there last weekend XD who crashed an interesting palate of cars after racing them . This year it wasn’t all play for us as we had a job to do there this time. We had to help with escorting as well as shoot some photos of Amy Fay, bibi Jenny and a host of other models for Mean Machines. So let’s start with the local ladies first. I swear what ever setting I use to shoot her with she always comes out glowing in every shot! Now moving onto the Race queens. This is what I mean when I said some of the outfits had been toned-down to comply with Malaysian laws. The original outfit as we saw from the Super GT guides were actually very nice and resemble regular race queens but for some reason they decided to wear this instead. For what ever reason may it be weather, afraid running afoul of local decency laws, if they were going to dress like that, they might as well not have come at all. It was rather disheartening for veterans when we saw this, the quality was literally on a downward spiral. Some of the cars didn't even bother to bring in their racequeens as they felt they wouldn't be able to present them as they are in Japan which I commend. If you can't show them as they are then don't bring it. It's have em as they are or don't at all. 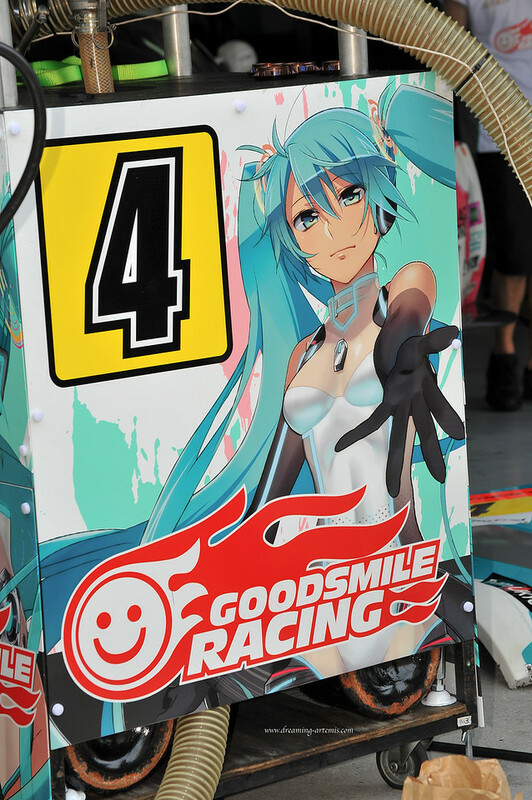 As the Miku racing car did. No race queen here move along. 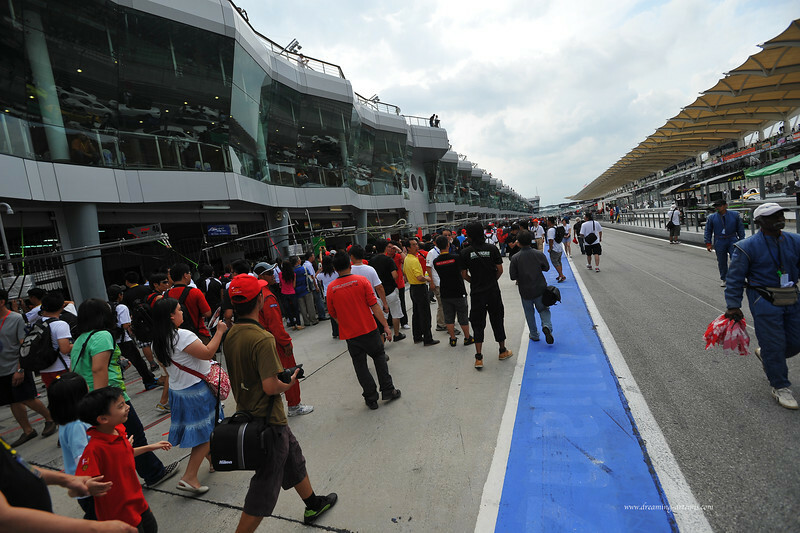 and with that, concludes Super GT 2011. They didn’t bring in Noa or Yuuna this year! A lot of people were looking forward to seeing them again. 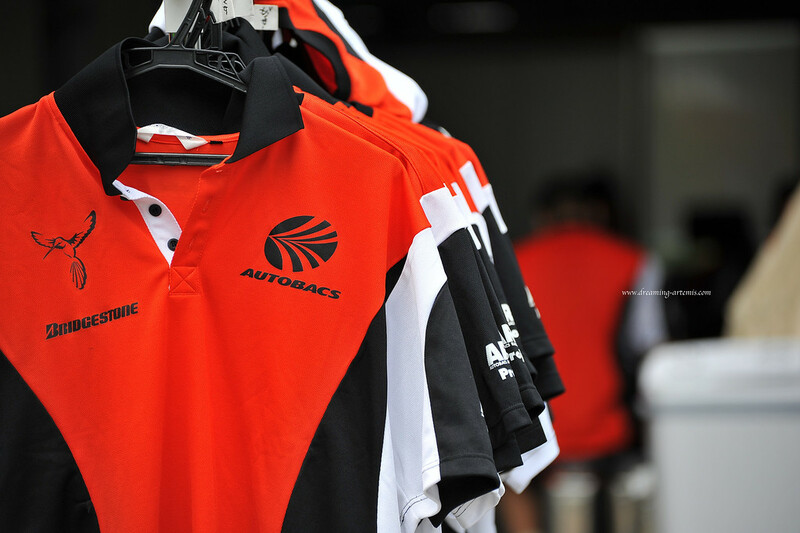 ← Back from Super GT 2011! Those over-sizzed t-shirts were official outfits? They look horrid. Amy Fay is definitely the best out of all the girls here, you’re lucky you got to work with her. Wow! I didn’t even recognize her!